The Kaiser-idell Pendant Lamp is a modern bowl-shaped steel and brass pendant light with adjustable swivel joint. Designed by the German silversmith and Bauhaus teacher Christian Dell in 1931, the Kaiser-idell lamp is a modernist approach to industrial lighting that emphasizes craft and utility. The Kaiser-idell Pendant Lamp has an overall width of 11.25” | 28.6 cm and a shade height of 5.5” | 14 cm. Kaiser-idell Pendant Lamps have a cord length of 9’10” | 3 m.
What is the Kaiser-idell Pendant Lamp? The Kaiser-idell Pendant Lamp is a modern bowl-shaped steel and brass pendant light with adjustable swivel joint designed by Christian Dell (1931). 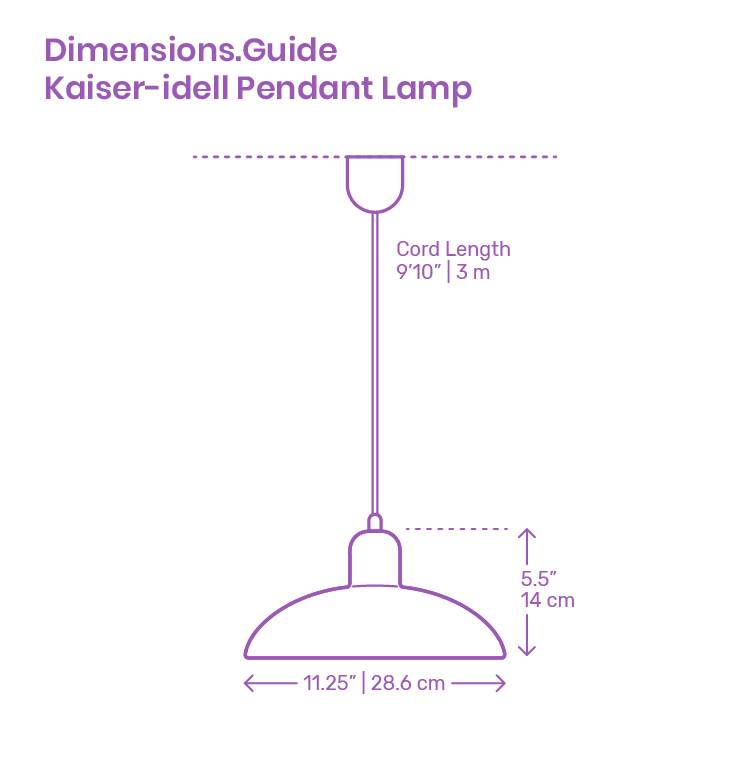 How big is a Kaiser-idell Pendant Lamp? The Kaiser-idell Pendant Lamp has an overall diameter of 11.25” | 28.6 cm and a shade height of 5.5” | 14 cm. How high should the Kaiser-idell Pendant Lamp be hung? Though it varies by situation and lighting needs, the bottom of the Kaiser-idell Pendant Lamp should be hung 28”-36” | 71-91 cm above a countertop surface or 30”-36” | 76-91 cm above a dining table.